This got me thinking about the nature of gluttony, not only as an excess of food (both in quantity and quality), but also as the epitome of excess as an impulse across human experience. While gluttony is usually associated with eating and drinking, gluttony is not essentially a sin of ingestion. In the Summa, Thomas Aquinas explained that gluttony “denotes, not any desire of eating and drinking, but an inordinate desire.” Any inordinate desire. There is something ominous about the impending darkness here. It echoes John the Apostle’s words, “And it was night,” which he uses to allude to Judas’s treason when he fled from the Last Supper. Also, the “vulgarity” that Lewis points to is equally startling. 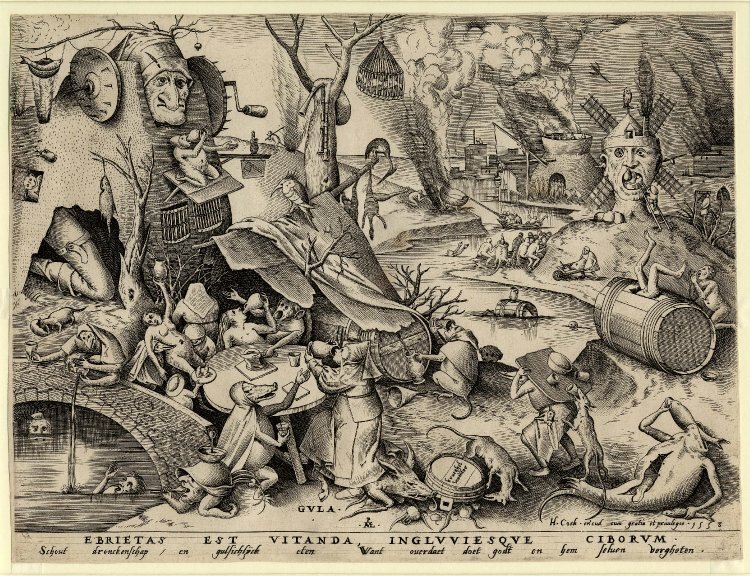 It is reminiscent of Peter Bruegel’s engraving Gula, which depicts the chaotic despotism of gluttony, as revelers become lost in a sea of intoxication and confused pleasure. Bruegel’s painting reveals what Lewis only suggests. The nature of gluttony is to make a pleasure so sweet that it corrupts the good, beautiful and true, until it eventually unhinges us from reality. Of course, there is nothing wrong with the fruit that Ransom eats. Quite the opposite, everything is perfectly right with it. However, its goodness can be spoiled and abused. Continuously partaking can lead to an inversion of true satisfaction. 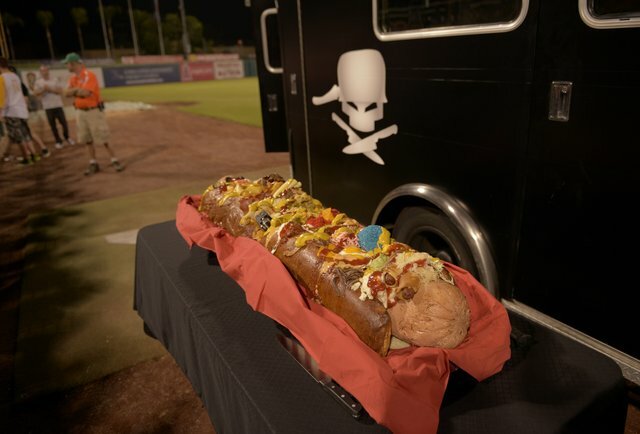 It can be twisted and fouled by the reasonable, and all-too-pervasive, inclination toward gluttony. After all, we are told, if it tastes good then eat it and the more (ingredients) the merrier! I wonder if there could be such a thing as gluttony in faith; the partaking of what would ordinarily be divine relationship with God to fulfill one’s own selfish desires. Or if the nature of God is too pure to allow those who such a corruption of the worship of Him. Just a thought. Interesting thought, Shaun. I suppose it depends upon the nature of the ‘partaking’. That being said, I doubt that anyone approaches God completely selflessly. Perhaps Augustine’s Confessions would shed some light on this. Thanks, will do. I’m working on Athanasius’ “The Incarnation of the Word of God”, but “Confessions” is definitely on my to-do list. On the contemporary side, everyone seems to be talking about this Lee Strobel fellow too.